The Tiger Pattern for the guitar pictured above was sketched from George's Original. 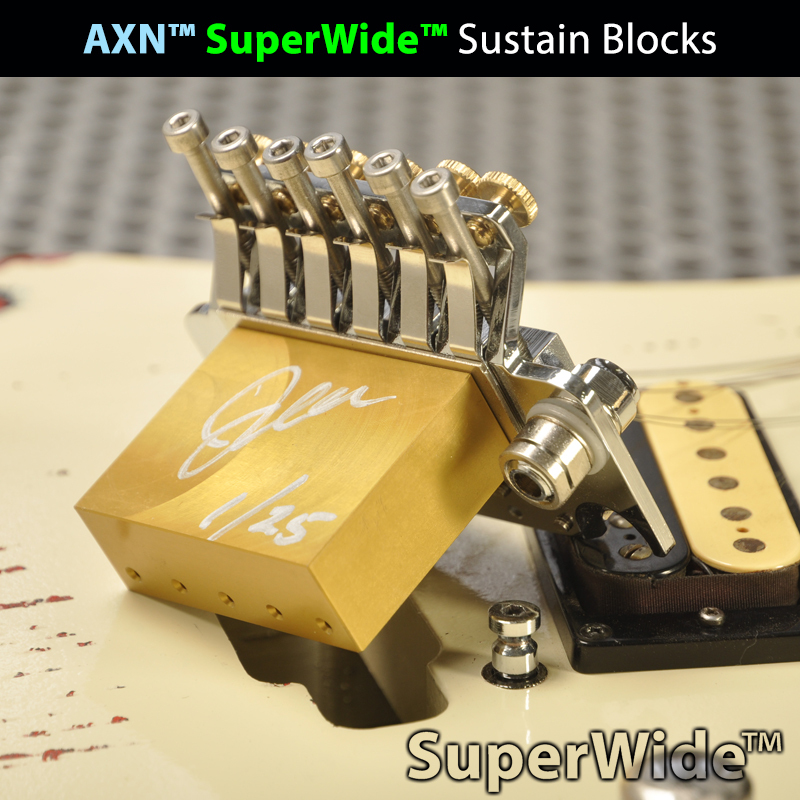 Here is another guitar that has been talked about but seldom seen. Kramer collectors know that very few of these were produced by Kramer. Collectors also know the Kramer Japan factory did make them. Of course, the Kramer Japan factory was the ESP factory ( Electric Sound Products ). We can verify that this guitar and these GL Kramers were made at the ESP shop in Tokyo and manufactured at the same factory where custom order ESP guitars were manufactured in 1986. A couple of these George Lynch Kramer branded guitars have popped up on the internet lately. Also facts in regards to these have been recorded in 1980s to present in old guitar magazines and interviews with George. Apparently the graphic for each one of these Tiger guitars was taken from an actual sketch of Georges original striped guitar. We have substantiated this fact by inspecting the artwork on this guitar. 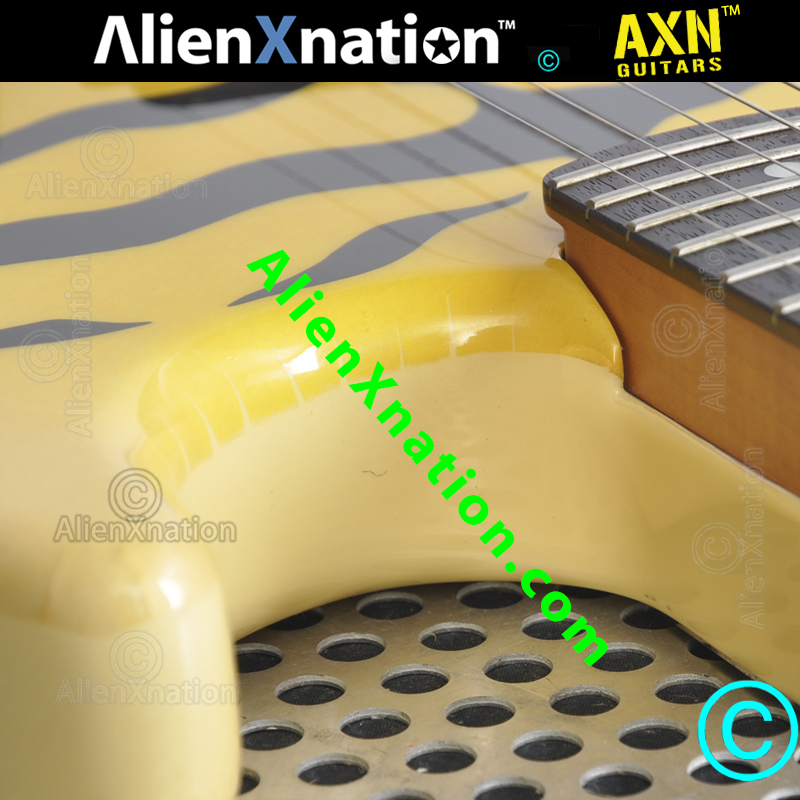 The Tiger Striped Kramer guitar which is now sold... its neck profile and manufacturing details..
QUOTE FROM JOHNNY - AXN GUITARS >> "The Tiger Striped Kramer feels like vintage Kramer holy grail banana era neck specification. Yet, the girth of this neck, the shape, and its profile are a bit chunky-er than a banana head 1980s Kramer. 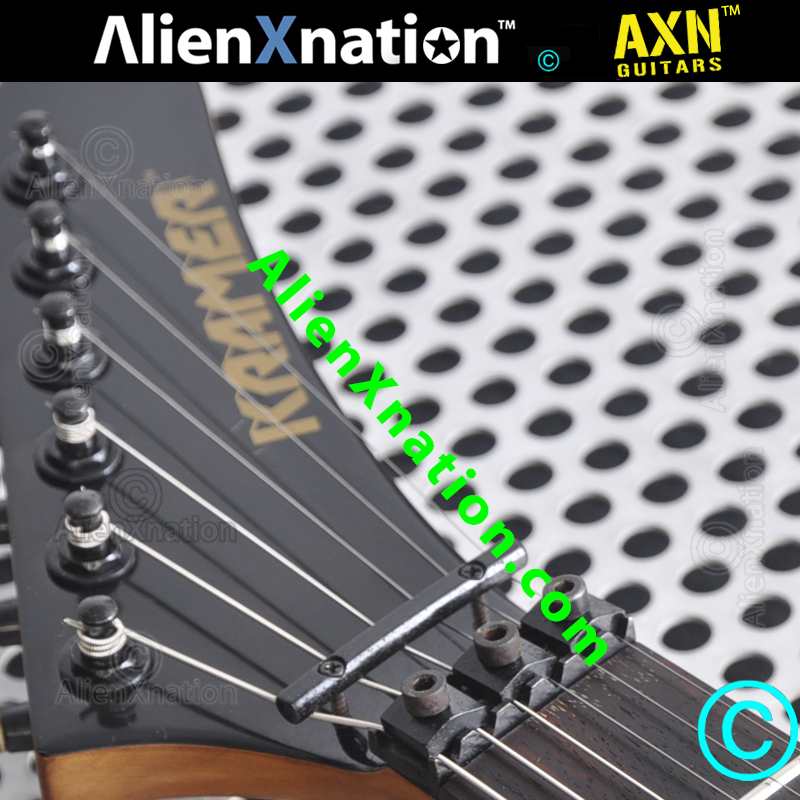 It has the holy grail era Kramer specifications which is a wide and flat fretboard. You can see the profile in these photos. 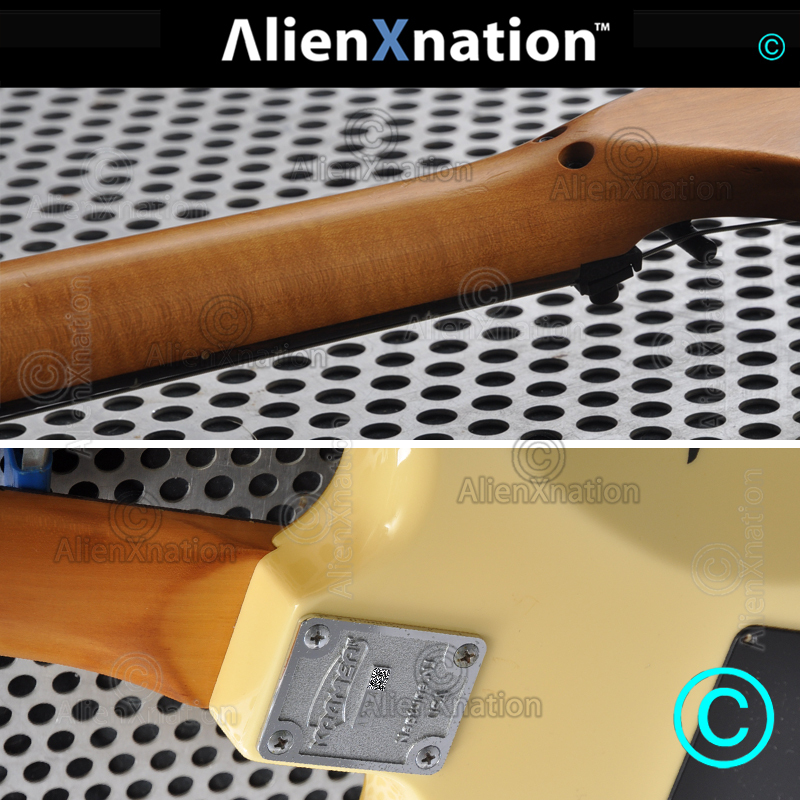 This neck and this guitar contain enough model specific details to reveal that indeed the artist George Lynch was involved in the design of this signature model Kramer guitar and its features". 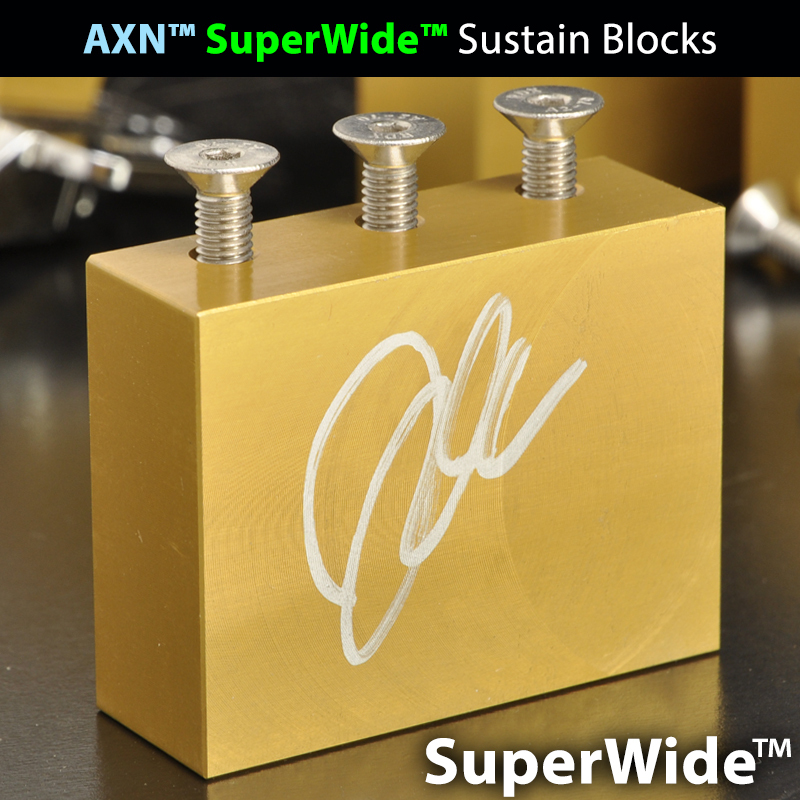 QUOTE FROM JOHNNY - AXN GUITARS ( July 2017 ) >> "The last time I talked to George Lynch in person was in July 2017. During our conversation I asked him this question.. "Hey George i think I have a unauthorized Kramer signature model of yours from the 1980s". 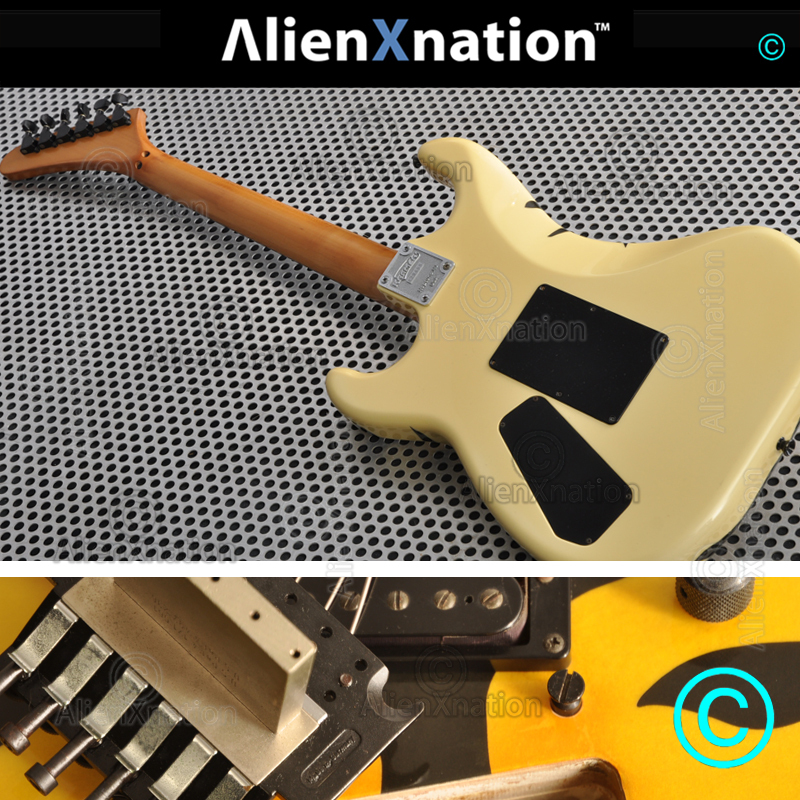 George Lynch replied to Johnny from AXN Guitars " Well, I did work with them for a couple years ". Our last few notes, the guitar pictured above is labeled or branded as Kramer. The fact that the logo on the headstock is Kramer makes it very collectible. 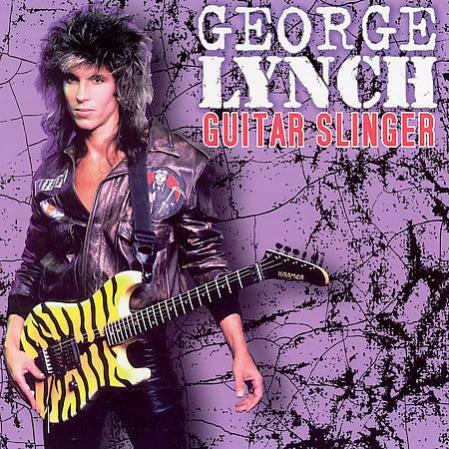 The facts and timeline show that George was endorsed by Kramer in 1985 to 1986 and George Lynch used the Mr. Scary Kramer Banana Head guitar on the Tooth and Nail Tour. Also as fact George used the Mr. Scary Kramer Banana Head guitar in the Dokken Alone Again Video filmed in 1986. George was a paid Kramer endorsee as he stated to me for "a couple years" then left Kramer. Its also my opinion that George bonded with the very talented people at ESP Japan and agreed to go their way. This George Lynch endorsement to ESP spiraled ESP to the greatness it is today. The Tiger guitar has a few markings in the neck heel such as the pictured "Mad" lettering... ESP history is interesting. Mad Company was an offshoot of ESP ( Electric Sound Products ). 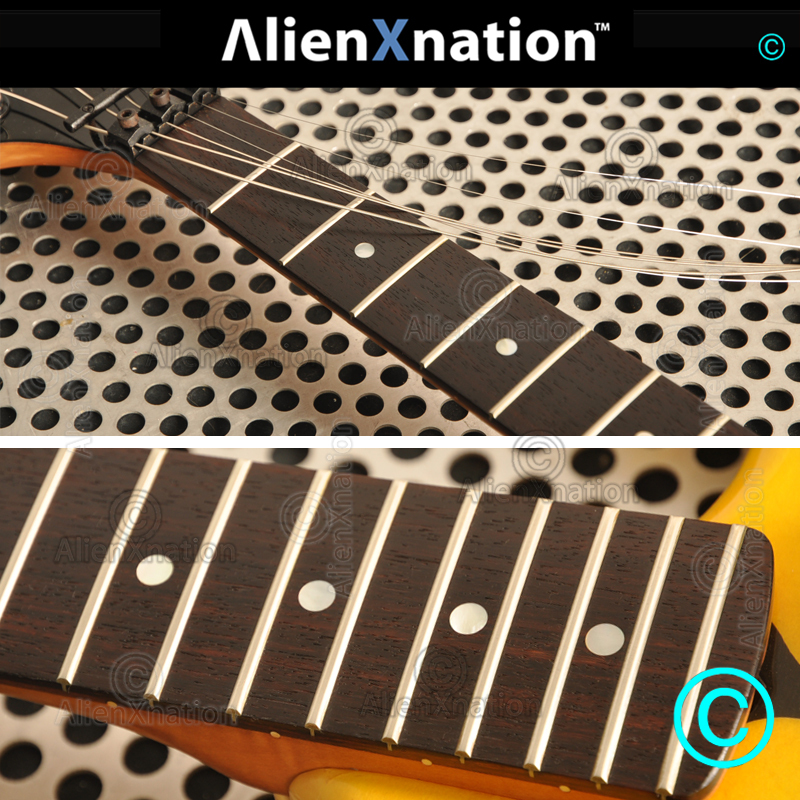 Guitars labeled Mad Company were manufactured by ESP guitars and made in Japan. 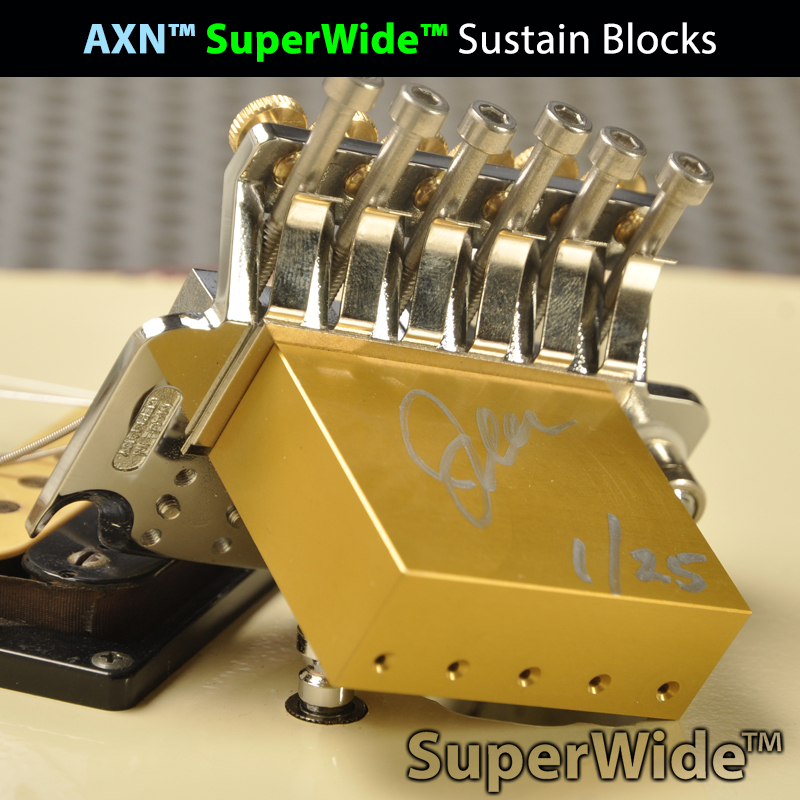 These guitars were also were many times artist signature models. 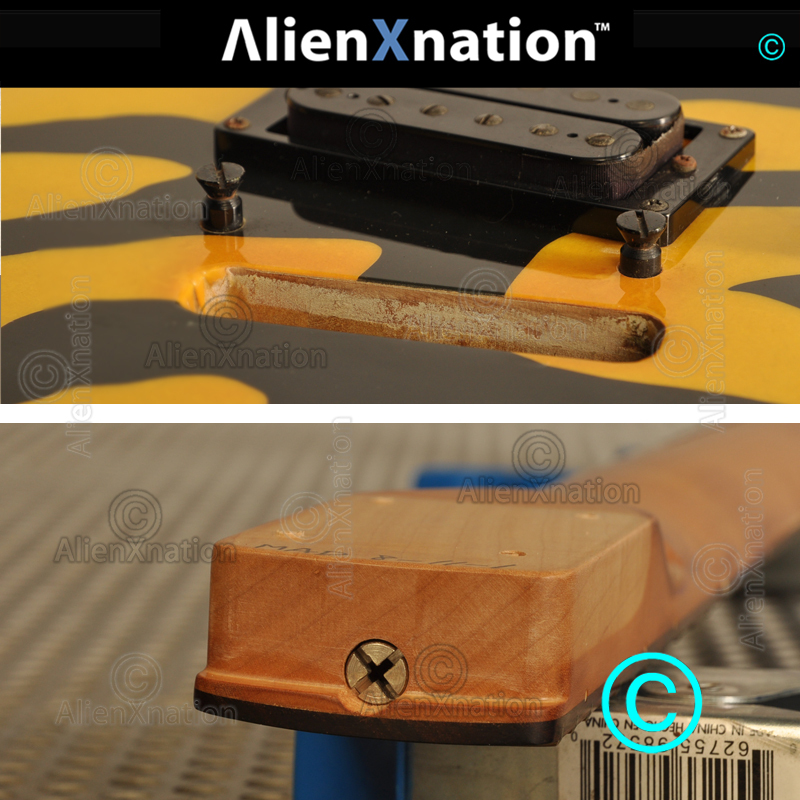 We also have seen a couple more of other GL prototype guitars in Europe that we can verify by experience are George Lynch Kramer branded guitars and we can verify these are authentic ESP manufacturing. This tiger striped guitar and also a Kramer branded George Lynch guitar that is The Prototype to George's Kamikaze were manufactured by ESP. I think very very few were manufactured before George officially went to ESP. 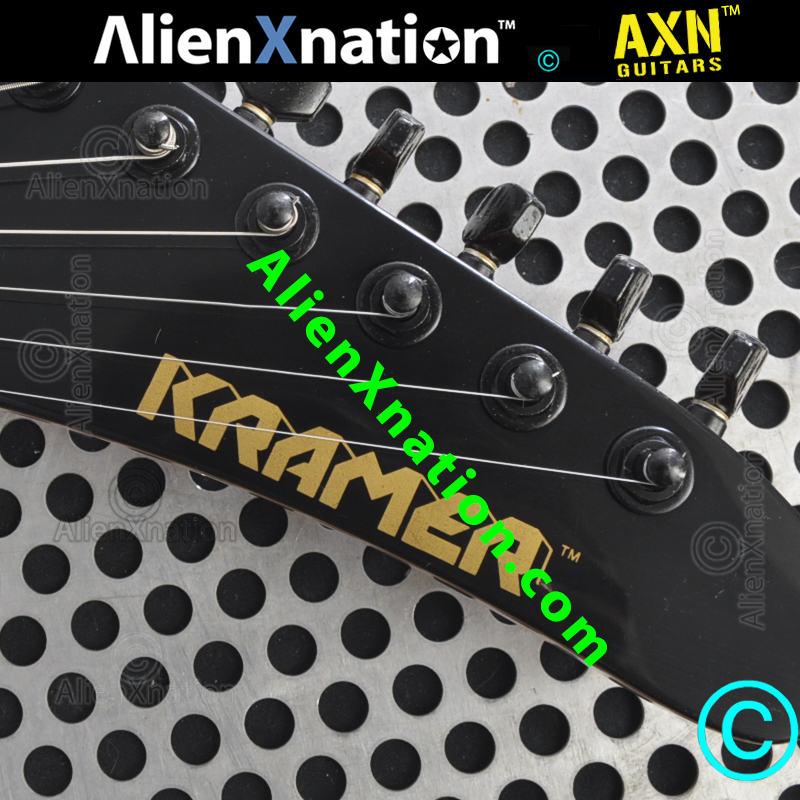 We are currently searching the world specifically Europe and Japan for a George Lynch Prototype Kamikaze and any George Lynch Kramer Prototype. My many friends, performers, artists that are collectors and associates overseas are actively tapping my many resources to try to locate and purchase these guitars. These prototypes were branded with a Kramer logo on the headstock and manufactured by ESP in their Craft House in late-1985-to-1986. If you have one send us a photo via email. 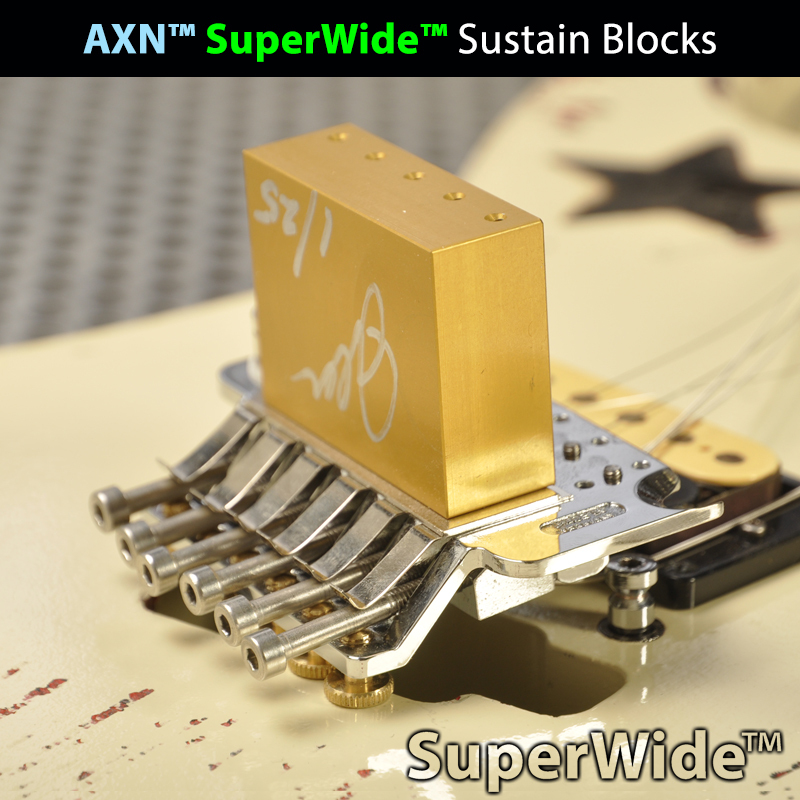 I am sparing no expense to get these guitar into my shop.